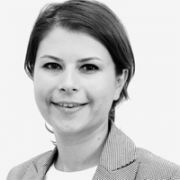 Ioana Manoiu is Managing Partner at GMP PR (from 2005 to present). Within one year after its creation, this agency was named "Romanian PR Agency of the Year" and in just three years has become a top player in the Romanian PR Market. The client portfolio includes more than 30 local and international brands, including: Unilever, Toyota, Pepsi, Ericsson and Lufthansa. Manoiu and her agency have won numerous awards in recognition of their work at GMP PR. Preceding her appointment at GMP PR, Manoiu held the position of PR Director at Graffiti BBDO Bucharest and prior to this worked as a Journalist for Libertatea, Nine O'Clock.